Collect the virtual cards of all your Reservations. From the comfort of your mobile, tablet or computer you can charge your reservations throughout the day, any day of the week. If you have any problem, we are here to assist you! We are with you at everytime. With RevoluPAY Virtual Cards you will have the list of all your charges, Booking, Expedia, Hotels, Agoda, etc. Once the collection is complete you will receive notification via email and most importantly, the money in your wallet. What is RevoluPAY Virtual Cards? How does RevoluPAY Virtual Cards work? Is RevoluPAY Virtual Cards safe? What is the cost of RevoluPAY Virtual Cards? In what countries is it available? In which are the collections processed? How can I contact RevoluPAY if I need help? Can I charge my cards from my mobile or tablet? Is there a limit on the amount I can charge? Where can I find information about paying for my reservation on Booking.com? RevoluPAY Virtual Cards is a service oriented to process payments with credit cards that solves the issue of collecting the Virtual Credit Cards that generate the most of the online Touroperadores like Booking.com, Expedia.com, Hostelworld.com, Agoda.com and others. Our objective is to enable the collection of any Virtual Credit Card in an easy, fast, economical way and that the client receives the money in the shortest time possible. RevoluPAY Virtual Cards is very easy to use in 3 simple steps to collect your credit cards. Register. The registration process is very simple and you only need to provide basic identification, contact and documentation about your company and the accommodations you manage. Validate your email. 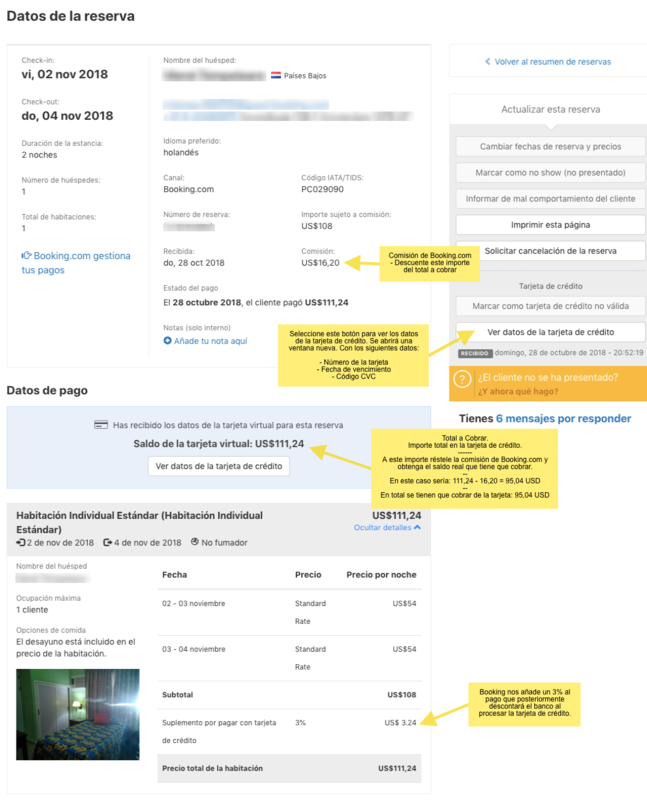 You will receive an email with a link to follow to confirm that the account is correct, since that moment all communications, notices, invoices and others will be sent to that email account. Start charging your cards. Charging a Virtual Credit Card is a very simple process where you only have to enter the amount, credit card number and VCC. In a period of between 48 to 72 working hours, you will have the amount charged on your wallet. Note that if the charge occurs on a Friday or during the weekend, Saturday and Sunday are not considered working days. Once registered, access your user data and collect your credit cards is a one-step process that takes place in a few minutes. is totally safe, we are a company incorporated and registered in Spain, Revolupay S.L, with CIF (Tax Identification Code) B67233817. Revolupay Virtual Cards complies with European Payment Regulations, with the highest legislative requirements in terms of security and protection. At all times your funds are kept by the Electronic Money Entity PECUNIA CARDS EDE SL. Authorized by the Central Bank of Spain with Entity number 6707. The form you fill with the cards info is guarded by the certified Company PAYLANDS so all the data are properly protected according with the European Regulations. The cost, for management and funds collection, is a unique percentage that will depend on the geographical where your Company is working and is discounted from the gross amount charged to Booking or Expedia. The transfer of the wallet is free from € 2,000. NO more expenses, no more commissions added. It will not apply minimums, nor cents per operation. Any country in the world, when you register you have to provide us with the IBAN and the SWIFT of the bank account where you want to receive the payments and you will receive your money in it in the stipulated period of time. You can send us an email to contact@revolupay.es or use our contact form by clicking here and we will be happy to answer your questions or queries. We respond to all communications within a period no longer than 24 hours. Without any problem, our page is optimized for browsing on mobile devices. No, there is no limit, you can charge any amount as long as the cards are active and have the corresponding balance. Access your account in Booking.com and look for the reservation you want to process the payment. In the reservation you will find different information, but there are two concepts that we have to pay attention to the amount that must be charged. The first is the Booking.com Commission and the second is the Total Amount deposited on that credit card. The amount that we must charge is the result of subtracting the Booking Commission from the Total deposited on the Card. Then choose the option "View Credit Card" to access the credit card information of that reservation that you will have to enter in the last screen of the collection process in RevoluPAY Virtual Cards. If you are going to make these charges in an unfriendly connection environment, such as a public Wi-Fi network in a park, we recommend that if you are going to process a few charges from several reservations, before you start charging, you have already taken out all the accounts of the amounts and the numbers of the credit cards associated with those payments. This way it will be much more convenient to process them all. Here is a screenshot that will allow you to visually clarify any questions.